Q: What is an electric bicycle? A: Electric bikes are the same as conventional bicycles accept they are built with or retrofitted with a motor and battery to assist with propulsion. Go to the What Is It page for more details. Q: Does the electric bike models provide a 'bicycle' or a 'moped' riding experience? A: It depends. The aim should be to give the feeling of a pure bicycle. Nevertheless, there are many e-bikes that tend to be more moped like. Q: Isn't it cheating to ride an electric bike? A: In some way it is. By pedaling together with the motor, it is taking some of the work for you. But, you maybe wouldn't ride at all unless you had the motor in the first place. Q: Is an electric bike for me? A: Electric bicycles are very versatile. Almost everyone can find a great way to incorporate e-bikes to their lives. Go to Who Is It For page to find different kind of possible uses and you can also visit the Types & Styles page to read about different types of e-bikes. Q: How fast? How far? How much? A: The exact numbers are unique to each bicycle. Q: Which electric bike is the best? A: There is no universally best electric bike. Different needs, dreams, considerations, factors dictates different styles of e-bikes. First, filter out the very low quality e-bikes. The cheap electric bikes page is a good start for that. Afterwards, use the How To Choose page and you can also take a peek at the Best Electric Bike page. Q: Where can I buy an electric bicycle? A: The Where To Buy page can be helpful. Q: What should I look for in an electric bike? 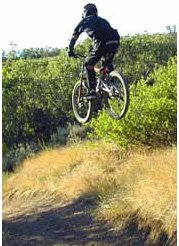 A: The a href="https://www.electric-bicycle-guide.com/what-to-look-for.html">What Should You Look For page is a good start. Didn't find an anser to your question? You are welcome to ask your question through the form below. How much costs the Bicycle Power Meter? Where can I order it? How can I conect it to a Prodeco 200 watt front weel unit? Can I use an electric bike without a controller between the battery and the motor? Would a graduated throttle do the same job? My battery needs to be replaced. Do you sell them? Don't worry -- your e-mail address is totally secure. I promise to use it only to send you Electric Bicycle Guide e-zines. For further information about the content of this newsletter, click here.